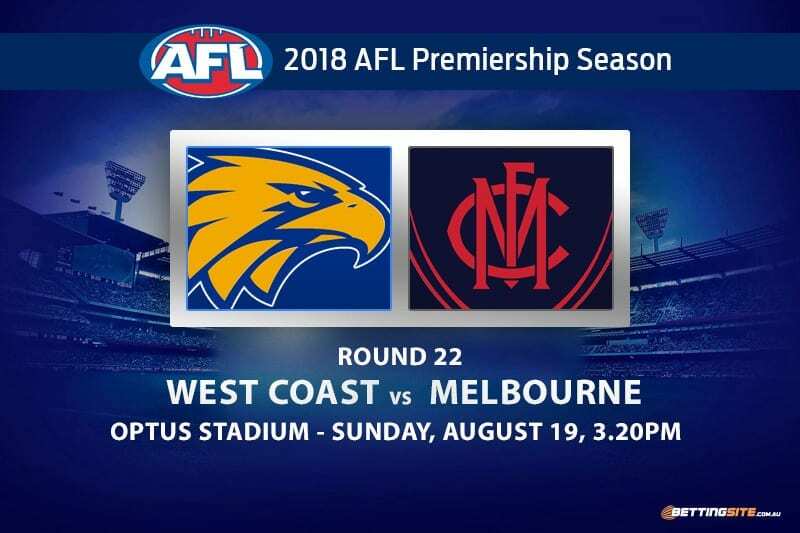 Melbourne will attempt to solidify its place in the 2018 AFL finals in a blockbuster Sunday clash with the never-say-die West Coast Eagles. 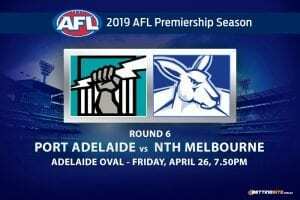 Optus Stadium will be near max capacity for the huge clash between these two finals contenders. The Eagles are in a much safer position on the ladder, sitting comfortably in second place, behind only the Richmond Tigers. The Demons find themselves in a much more precarious situation, having dropped the match against the Swans last week. 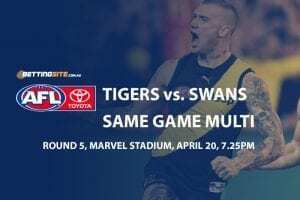 If the Eagles win, they could still harbour ambitions for taking top spot from the Tigers, but the bigger story line out of the match is Melbourne. The Demons are stuck on 12 wins and have four other clubs biting at their ankles, desperate to take their place inside the top eight. 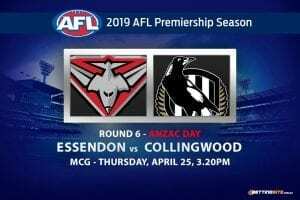 If the Demons win, they will safely stay above the teams below them with their handy percentage, but also have the opportunity to usurp the positions of Sydney, Collingwood and Hawthorn. Melbourne full forward Jesse Hogan suffered a foot injury last week against the Swans and is unavailable for the rest of the season — his loss is going to drastically effect the Demon’s forward structure and game plan. This massive clash is almost an eight point game when considering the repercussions for the loser. The fourth-highest scoring team in the league is without their best forward for the next few weeks, as Josh Kennedy still misses with his shin injury. Without Kennedy in the forward mix, it has been difficult for the Eagles to kick a big total. If not for the big win against the Dockers a fortnight ago, the Eagles have scored a total of 15 goals in the last three weeks. The Demons are in a similar predicament to the Eagles as their best full forward will sit out the rest of the season. Jesse Hogan is the main man for the Demons and without Jesse taking marks and kicking crucial goals, it will be a huge task to kick 12 goals. The Eagles defence has been solid all year long, it shouldn’t crack with two weeks to go in the season. Yeo has been one of the better goal-kicking midfielders in the league this year. This appears to be a great match for him to drift forward and kick a major. 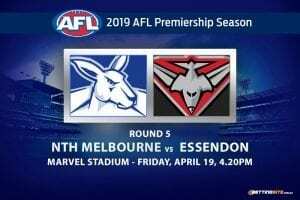 The young Melbourne midfield have often been criticised for their downhill skiing, which is the reluctance to get back and support the backline when they are in defence. If the Demons midfielders slack off for even a minute, it is very likely that Yeo will capitalise. Without Jesse Hogan, another player needs to step-up in his absence. Tom McDonald is that man for the Demons. Traveling across the country can be difficult for the younger players, but the experience that McDonalds brings will certainly help him keep a level-headed. It is a big task, but Tom has kicked bags in the past and will do so once again. 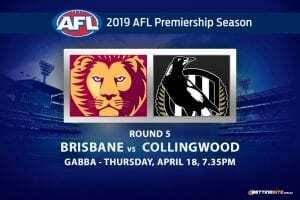 The Wire to Wire market involves teams leading at the end of every quarter, with your three choices being West Coast to lead every quarter, Melbourne to lead every quarter or any other result, which is the most likely to occur in this tight match. 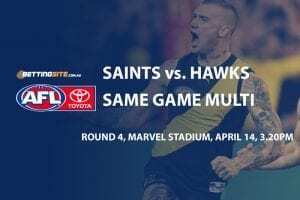 In the previous match between the Eagles and Demons, there was lead changes after halftime, which would have paid out the Any Other Result Tip. This is a high chance to happen again if the contest is close. We’re tipping the Eagles to win in nail-biting and uplifting fashion. A very close match that could be the game of the round. Do not be surprised if the Demons steal the victory.